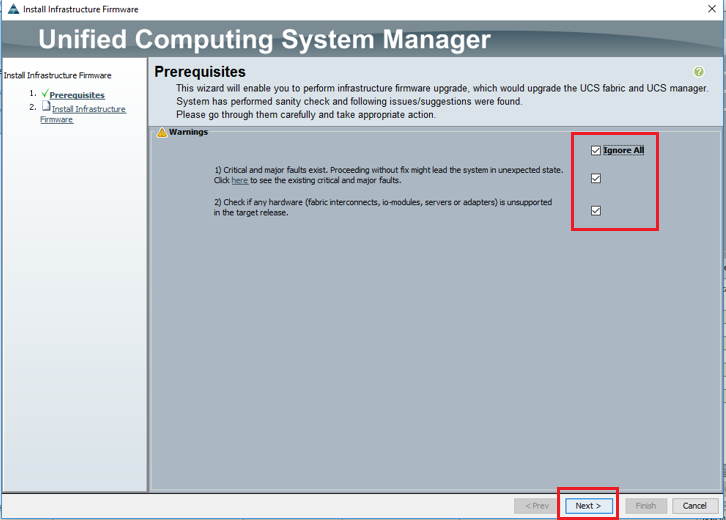 Or, How to upgrade firmware of CISCO UCS Mini Blade Chassis and Servers. 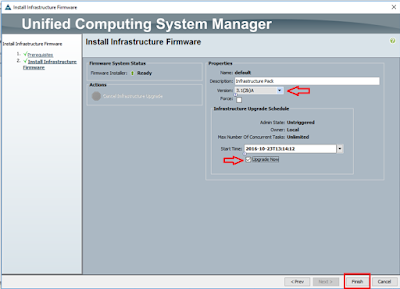 Or, How to upgrade firmware of CISCO UCS B200 M3 Blade servers? 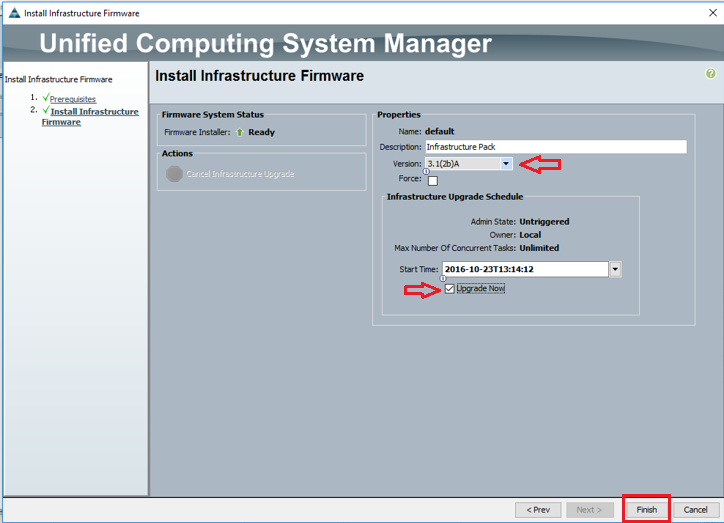 Or, Step by step instruction for upgrading Firmware on CISCO UCS B200 M3 Blade Server and Infrastructure. To ensure a smooth and hustle free upgrade of firmware for your CISCO UCS mini blade chassis Infra and Blade Servers, its always recommended to first check the inoperability matrix for appropriate hardware and software support as well as compatibility support. Its better you check with CISCO Tech Support and your software vendor for all kind of dependencies and compatibility checks. - Want to upgrade firmware of Infrastructure(Management, Fiber Interconnect etc..) and Blade Servers. - Current ruining firmware version: 3.1 (1e). - Upgrading to firmware version: 3.1 (2b). 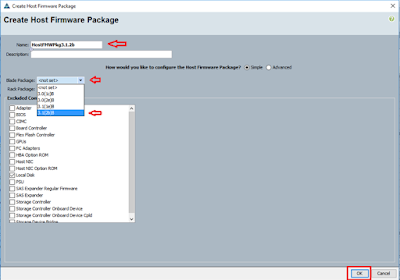 - Upgrade firmware on Infrastructure using auto upgrade method. 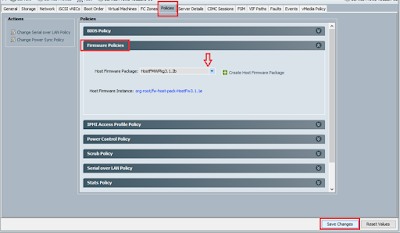 - Upgrade firmware on all Blade Servers one by one using service profile. - Verify if there is any hardware error, if yes, please get that fixed first before proceeding with upgrade. - Download appropriate firmware version for Infra and Blade carefully. for Infra it is ‘ucs-mini-k9-bundle- infra.3.1.2b.A.bin’. - Prepare the upgrade package. - Create Host Upgrade Package. - Proceed with Infrastructure firmware upgrade. 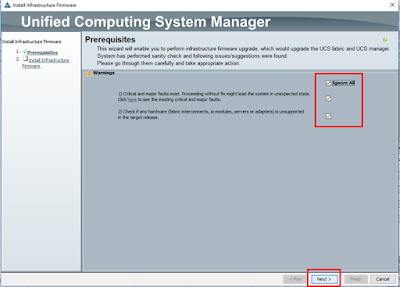 from the selected host and ESXi host is kept in maintenance mode. - Check for any drivers update, if required update the drivers too. 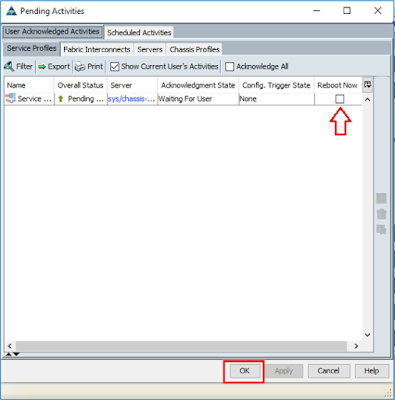 Login to UCS Server console with Administrative access. 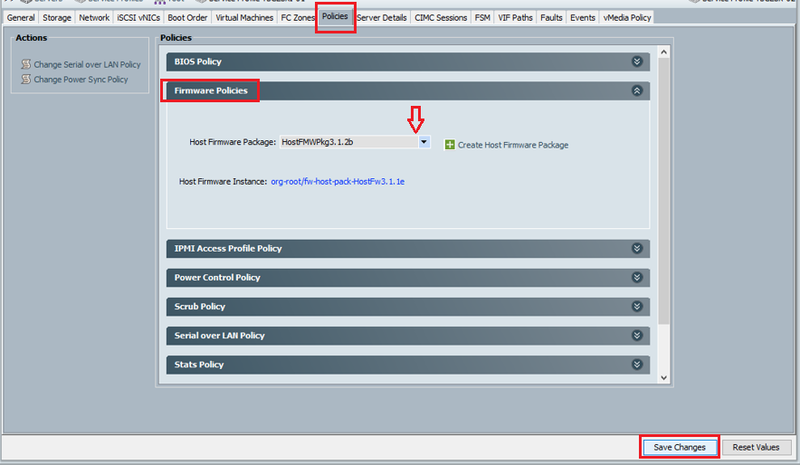 Click on Browse > Select the firmware you downloaded > Click OK > Wait for firmware package to be uploaded and prepared. Name the Package you wish > In the Blade Package selection area, select the appropriate package > Click OK to complete the package creation. 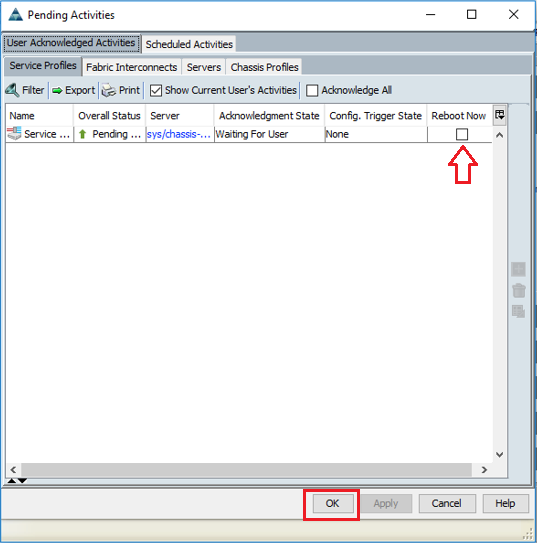 After successful creation, the new host package should be appearing in Host Package area. I got this/below warning because one host in my Infra was failed and it’s still in discovery mode. I know why this warning is coming up, so I checked all boxes to ignore. In the version selection area, select the appropriate package version you had just created in stage-1. In my case its 3.1 (2b). Verify if the upgrade has been started (it should show in progress). Wait for Infra firmware upgrade to be completed successfully. Usually it takes 1-3 hrs to complete the upgrade process. Now the upgrade will be initiated for Blade Server-1. You can check the FSM to monitor the upgrade status. Note: Repeat the same host upgrade steps for all the Hosts one by one carefully. Cheers! Please write me back if you have any query or feedback on this.